“To have to bring a lawsuit in federal court to compel NHTSA to simply write a regulation required by law – one that is widely recognized as having significant lifesaving potential – is, to use a word, sad,” said Jason Levine, the new Executive Director of the Center for Auto Safety. “Instead of fulfilling its job as an expert safety agency on behalf of all consumers, NHTSA has spent five years hitting the snooze button. Hopefully, this action spurs a sense of urgency for something so non-controversial,” Levine said. The lawsuit follows a recent report from the Insurance Institute for Highway Safety (IIHS) that Levine said confirmed the need for such a warning system. IIHS found up to 28% of adults surveyed admitted to not wearing their seat belt in the rear seat all the time, and of those, 4 out of 5 say that when they take short trips or travel by taxi or ride-hailing service they frequently do not wear a seat belt. 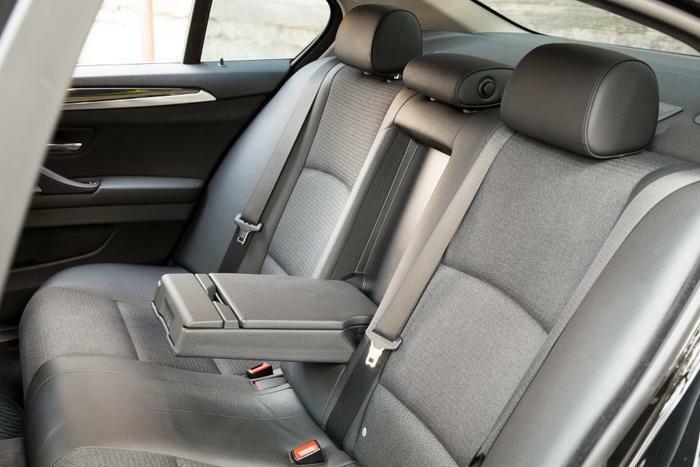 The same report noted that unrestrained passengers in the rear-seat were almost 8 times as likely to sustain a serious injury in a crash as restrained rear seat occupants. Many of those responding to the survey said they feel safer in the back seat. Others said they just found the belts uncomfortable or inconvenient. But safety advocates say that's a potentially fatal error. “The importance of seat belts in saving lives is indisputable. This is one area where the government, auto industry, and safety groups are in complete agreement. Everything possible should be done to ensure that all passengers are correctly restrained all the time; on every ride,” said KidsAndCars.org, founder and president, Janette Fennell. "It’s time for NHTSA to stop stalling and the auto industry to begin installing."